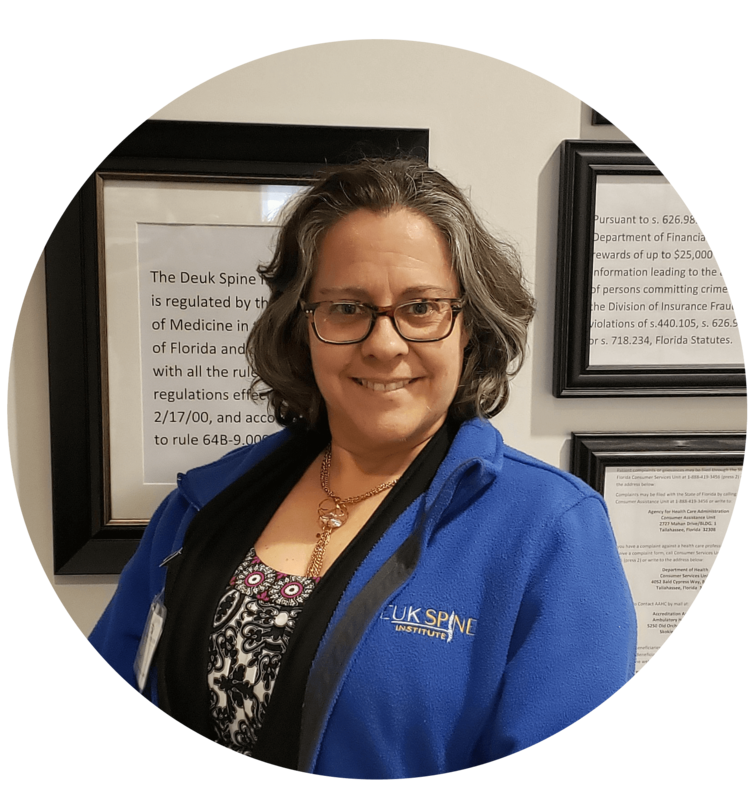 "Over the short 8 months I have worked for this company I have witnessed more people receive total pain relief than I have in the entire 5 years that I previously worked in Pain management. 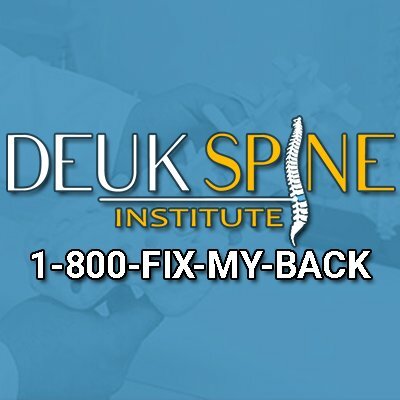 Deuk Spine raises the bar for not only clinical outcomes but also amazing customer service from exceptional staff. 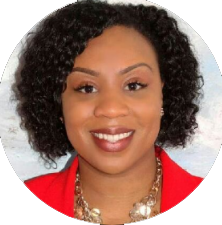 Working at Deuk Spine has given me personal fulfillment, reminding me why I originally chose the healthcare field. I chose healthcare to make a positive impact in the world and to truly help people, and that’s what we do here at Deuk Spine. When I think of Deuk Spine the following words come to mind; Trailblazers, Heros, Public Servants, Compassion, and Family. :)"
"To me Deuk Spine means family. I've seen staff come and go and through it all we take care of patients with back, neck and joint pain. From patient services, front desk, medical assistants, schedulers, insurance verification, authorizations, registered nurses, radiology tech, providers, billing, medical records. We go full cycle with most patients to get them out of pain, off of pain medication and back to living a healthier lifestyle. We deal with easy patients and difficult patients, easy insurances and difficult insurances, easy staff and difficult staff, because that's our job, our career, our calling. I believe we are the best of the best in dealing with back, neck and joint pain and I love being apart of this family."